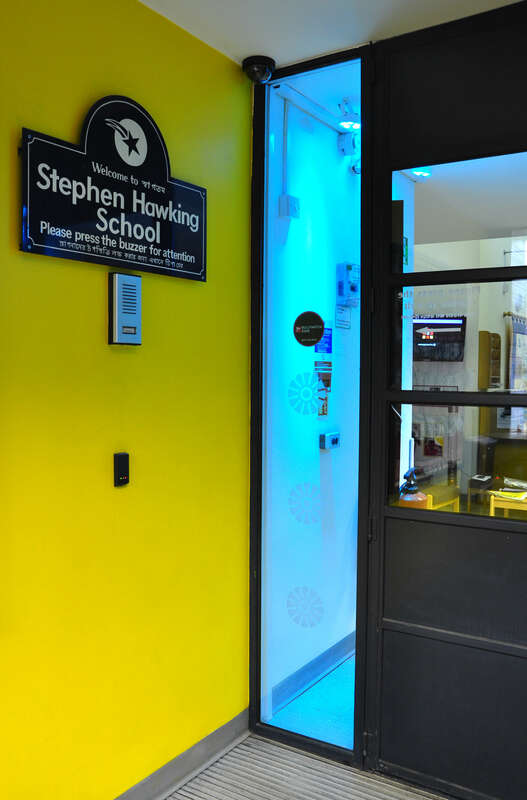 Pupils and staff at Stephen Hawking School, Tower Hamlets, have been provided with stimulating state of the art technical facilities following a specialist technical installation by Clarity. The school caters for pupils between the ages of two and eleven years. The majority of the pupils attending the school have profound and multiple learning difficulties with a significant number also having sensory and physical impairments. When Clarity first visited the school, the existing reception and sensory areas looked tired, drab and basic. This was a far cry from the welcoming, nurturing environment that the school was seeking to achieve. Although not part of our normal service the school requested that we hire plasterers and decorators as an integral part of our works program. Once this was completed Clarity used its own expertise to transform the facility’s reception, sensory area and main hall into, what are now, generously equipped and calming spaces. Clarity liaised extensively with the school’s senior management and specialists to establish their aims and requirements that we then translated into a technical specification. In order to keep costs to a minimum our design reused the school’s existing equipment wherever possible, provided that this did not impinge on the flexibility and ease of use of the installation. 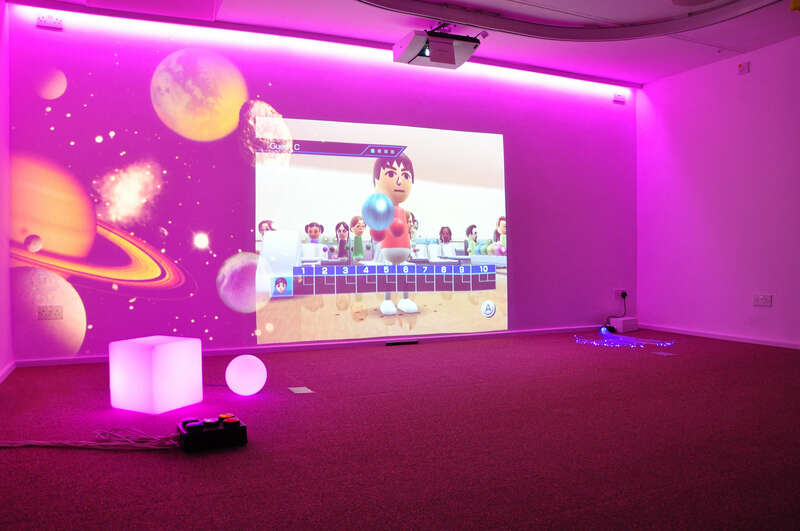 The sensory room was given a new sound system with CD and DVD plus connectivity, via simple remote panels, to other audio sources including microphones, tablets/smartphone, and any MP3 player. Swapping the austere for a warm friendly feel, we housed all of our technical equipment in lockable attractive wooden cabinets, taking particular care that there were no visible flashing lights that might distract the pupils. 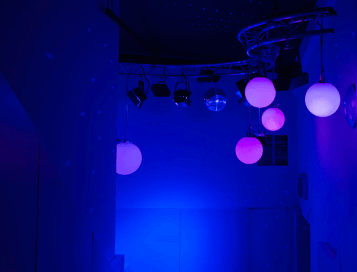 The prescribed visual excitement was provided by extensive colour changing LED lighting and a projection system linked to an interactive games console. 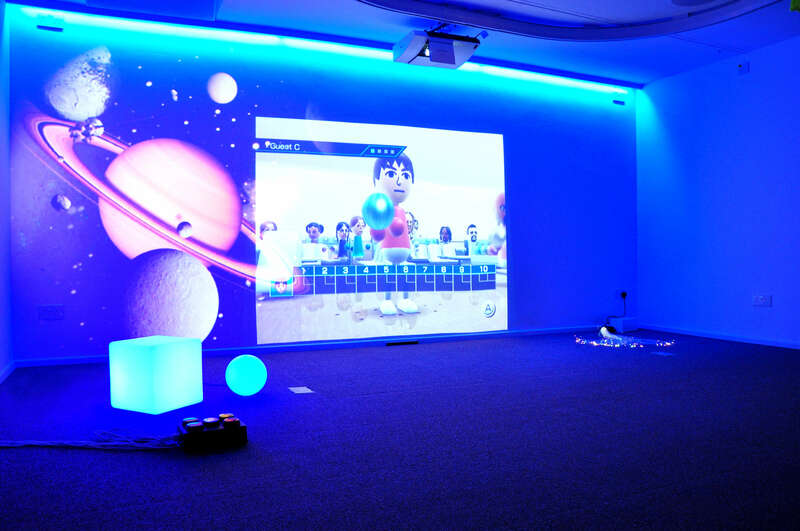 The projector’s clear large screen images assists pupils with perception and stimulates interaction. Along with the new ceiling mounted speakers we installed a number of spare ceiling height sockets and fixing points around the room. These sockets can be turned on and off from a conveniently accessible remote switch panel to allow for the control of any future ceiling hung electrical equipment. Continuing the theme of future flexibility we built a wooden grid into the ceiling capable of supporting parachutes, netting and UV reflective material. 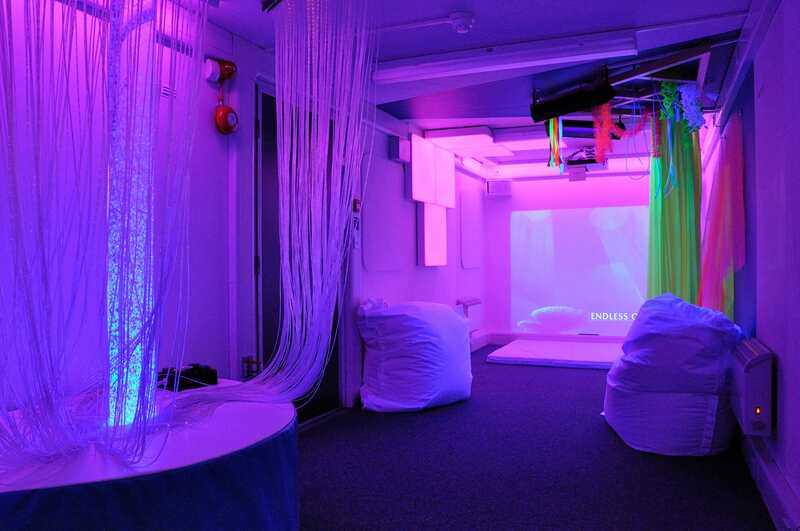 The school’s staff was so pleased with what we achieved in the sensory room and how easy our systems are to use, that when we returned to conduct the staff’s training session, we were greeted by applause. The key requirement in the rejuvenation of the reception area was to create a sense of familiarity and safety for the pupils, while being informative for the more able visitors. 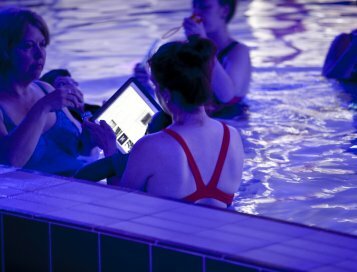 The former was achieved through LED lighting that can be programmed at specific times of the school day to display different colours, discernible by the visually impaired. The entrance also has a new audio system for both music and announcements. It is used to play music that the children will recognise as they arrive and leave the building. The combination of familiar sound and light is of particular importance to the school’s pupils to whom regular routine is a very important aspect of their development. The reception also benefits from a new, networked digital signage system capable of displaying a programmable schedule of media including images, video, RSS news feeds, or office content, to suit the school’s itinerary. A high quality audio system was installed in the school’s main hall, allowing the use of radio microphones, CD and MP3 playback – simultaneously if required. Clarity designed the system to be very simple to operate, which allows it to be used in most lessons conducted in the hall, as well as for daily assemblies, open evenings and fun/play-times.